We’re coming upon spring (though in some parts of the country it certainly doesn’t feel like it) and summer will be just around the corner before we know it. That means vacation season! Dreaming of that tropical getaway? Heading to Europe or Asia for a trip of a lifetime? Or perhaps a jaunt across the country to visit mom and dad. Whatever your destination, you will have some planning to do. If you have pets, however, you will have some additional factors to consider. Luckily, there are options. As it happens, it’s Professional Pet Sitters Week, and what better time to discuss pet sitting options and tips for those of you with pets who have to go out of town. Now, the best situation would probably be a friend or family member that your pet knows and likes, who have the time and flexibility to stay at your home for the duration of your trip, and everything goes smoothly. That, certainly, would be the best case scenario. Unfortunately, not all of us know someone who can do that for us. Therefore, we may have to look to professional pet care specialists to help us take care of our pets. The most familiar option is boarding your pet at a pet hotel (kennel). Depending on your pet’s personality, they can be housed separately or with other dogs and cats. If you have a very friendly and social pet, community boarding might be great as they will not be lonely and get a chance to make a friend or two. If, however, your fur baby does better on their own, most places should be able to accommodate. Another option is professional pet sitting. There are two kinds: one where the sitter comes to your house, and the other where you take your dog or cat to the sitter’s house. Both can have advantages and disadvantages. A sitter coming to your home would be the most comfortable for your pet. They would need getting used to a stranger, but at least their surroundings would be familiar. The downside could be that this is most likely the expensive option. The sitter taking in your pet has its benefits, such as the sitter has everything there that they need to do the job. They will have optimized their home to accommodate pets. 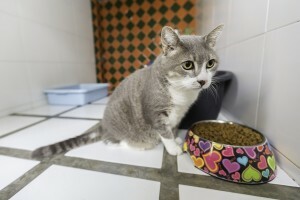 Of course, they could also be boarding other pets as well, which might or might not be okay with your pet, especially if there are no options for private spaces should your dog or cat prefer being alone. One thing you might want to consider if you plan to board your pet (or even if a sitter comes to your home) is flea protection. Boarding facilities, sitter homes, and sitters themselves are often exposed to fleas. 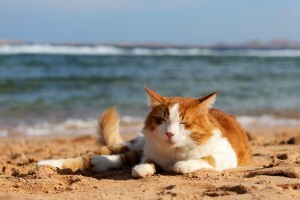 To spare your pet this discomfort, flea treatment might not be a bad idea. Of course it’s always a good idea to check with your veterinarian on the best course of action regarding flea medication for your furry loved ones. So, there you have it. If you’re going on a trip and taking your dog or cat with you is not possible, you have some options available to you. Finding a good sitting service is of utmost importance. You can do research on review sites, or ask for recommendations from people you trust. These services can help you have peace of mind when you can’t be home to take care of your loved ones. It could even be a fun change of pace for your pet. Well okay, most likely not – dogs and cats would rather you stay with them always. However, in times when it can’t be helped, at least these services are there so that your pets can be taken care of when you’re out of town. That can alleviate some anxiety for you, and your pets.